Injecting color into your home or office space will instantly improve your mood. One of the boldest ways to inject color into a room is to purchase a statement piece of furniture in a bright, bold hue. As an example, you may want to purchase a bright yellow chaise for your lounge or to purchase bright a red desk for your office. If purchasing a bright pink sofa, is a little too bold for your tastes, simply place a few bright colored cushions on your sofa or purchase photo frames or decorative vases, in a variety of colors which make you happy. One way to make your home or office space a more inviting space to live and work is to experiment with different textures and fabrics. As an example, one way to instantly turn your room into a more attractive space to spend time in is to purchase a fluffy rug or to purchase a faux reindeer skin rug on your floor. Also remember that it’s perfectly fine to mix textures as an example you may want to feel velvet, stainless steel, faux fur and porcelain pieces in the same room. 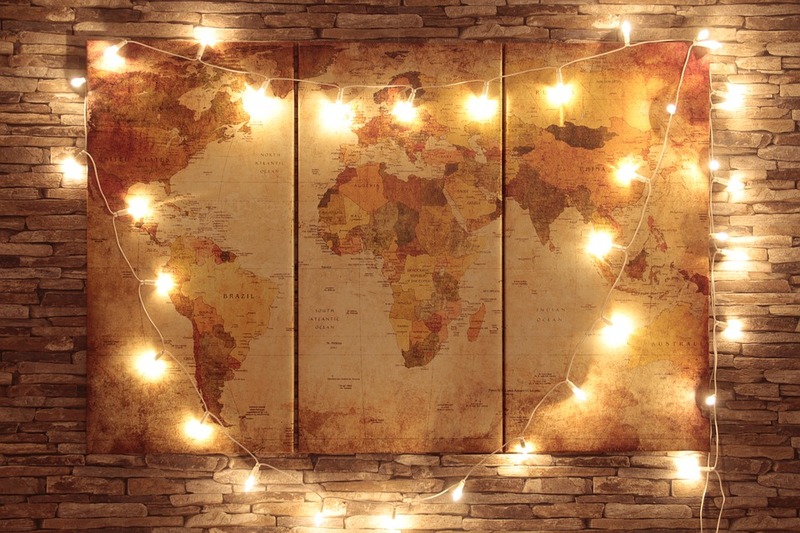 If you’re a bit of a jet-setter, instead of purchasing tacky souvenirs, it’s well worth picking up high-quality decorations which you can use to decorate your home or office space. Examples of which may include wooden handicrafts, a handpainted Venetian mask or a glass vase. Just think, every time you spot an item which you bought overseas, you’ll be reminded of all of your fun-filled international adventures. If money is no object, it’s also well worth considering shipping home and furniture items which you fall in love with overseas. As an example, you may fall in love with a hand carved wooden chest, with intricate designs, which would make the perfect coffee table for your lounge. One way to showcase your individual style is to showcase your favorite patterns. As an example, if you love floral prints you may want to use an eye-catching modern floral print to cover a statement wall. Just make sure that the wallpaper you chooses complements the rest of your room. Alternatively, if you love animal print, you may want to consider getting your sofa or one of your chaises reupholstered in a giraffe or leopard print. One way to instantly add polish to your indoor spaces is to add gold or silver elements. Examples of which may include a mirror which boasts a gold frame and silver candlestick holders. So if your primary aim is to create indoor spaces, which you’ll enjoy spending time in, it’s well worth keeping the 5 interior design tips listed above in mind.